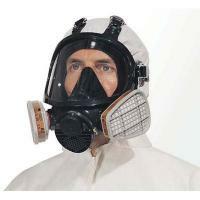 The 3M 7000 Series range of half-mask and full face masks combine comfort, reliable protection and durability. The full face mask meets the European Standard EN136 Class 2 and the half masks meet the European Standard EN140. Gas and vapour filters meet EN 141 and particulate filters meet EN 143. The 3M 7000 Series is easy to use and very convenient.